Ticket price is $30 each and includes entry to the quiz and a meal (curry, vegetarian option will be available) for each team member. It is a BYOB event. Please purchase your team tickets together rather than individually. Tables seat a maximum of 8 guests. Remember to specify your team name as you book your tickets. Depending on numbers, it may be necessary to combine smaller teams into larger teams. Please check below for more details about the event. New to BISH, wondering what the Quiz & Curry Night is about ? 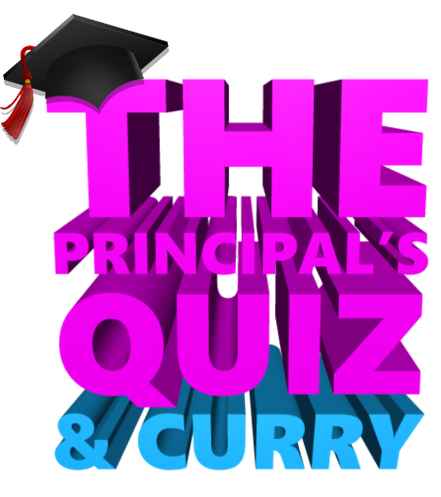 Our annual Quiz & Curry Night is a fun night when the Principal and Senior Leadership Team don their robes and award points for answering their questions correctly (the Quiz). They may also award points for good behaviour and a tidy uniform (fancy dress is optional). But, naughty boys and girls can also have points taken away! We will be providing a meal (the Curry) during break time and you will need to bring your own drinks. We know turning up at an event like this can be quite daunting if you are new to the school. Please don't let that put you off, we'll make sure you can join a team. If there are 4 or more of you, create a team. We are keen to make the Curry and Quiz night accessible to all adult members of the BISH community. Those that have been at the school for some time will probably be able to organize a team quite easily or will be lucky enough to be invited to join a team. In contrast, new arrivals to the school may find it more challenging to form a team. Therefore, to make it easier for those that are new to the school to join in the fun we ask people that have space on their teams (less than 8 people) to make those spaces available to other people. If you're ready for some fun, click on the "Let's Quiz" button above!